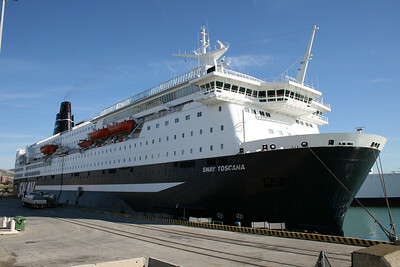 2008 - On board F/B SNAV TOSCANA : the funnel. 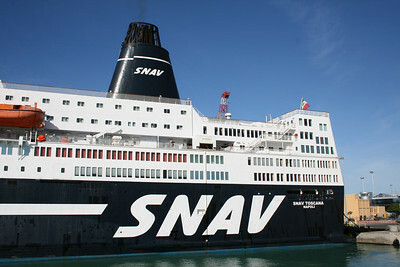 2008 - F/B SNAV TOSCANA in Olbia. 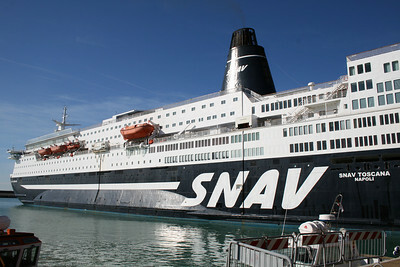 2008 - F/B SNAV TOSCANA disembarking in Olbia. 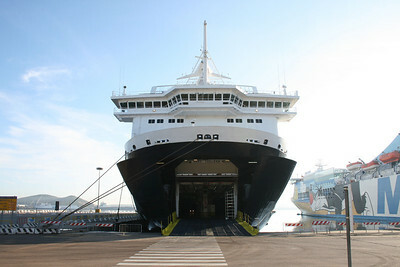 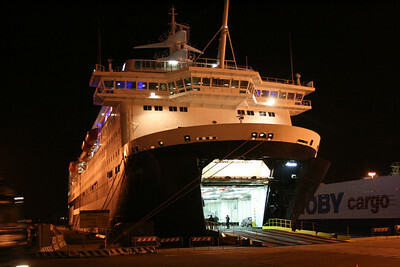 2008 - F/B SNAV TOSCANA disembarking cars in Olbia. 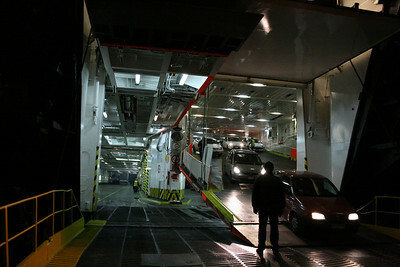 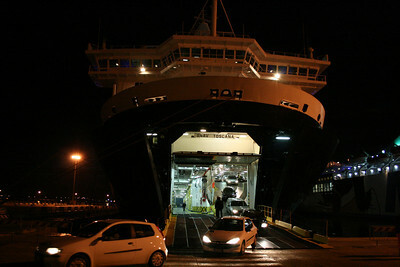 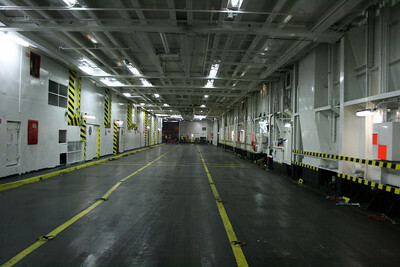 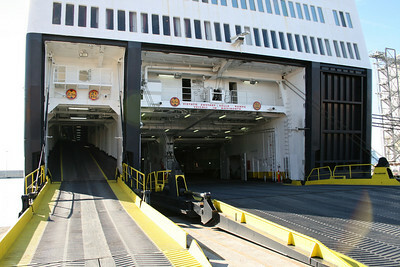 2008 - On board F/B SNAV TOSCANA : main garage deck. 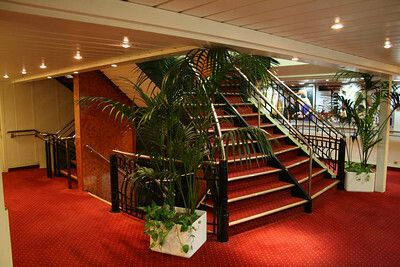 2008 - On board F/B SNAV TOSCANA : reception area. 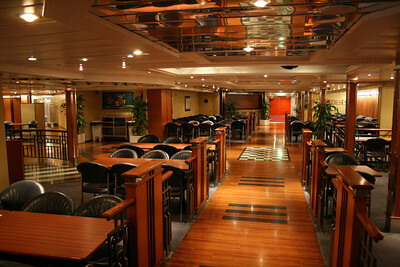 2008 - On board F/B SNAV TOSCANA : the bar. 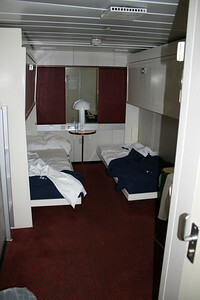 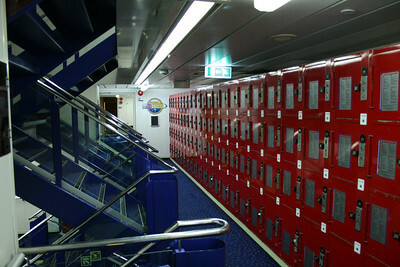 2008 - On board F/B SNAV TOSCANA : security lockers. 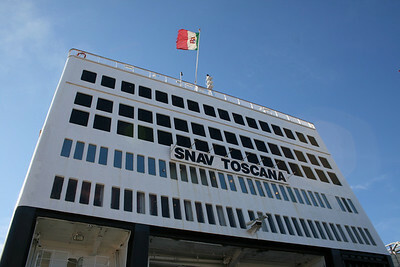 2008 - On board F/B SNAV TOSCANA : B-cabin. 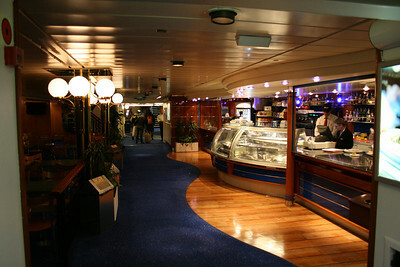 2008 - On board F/B SNAV TOSCANA : self service restaurant area. 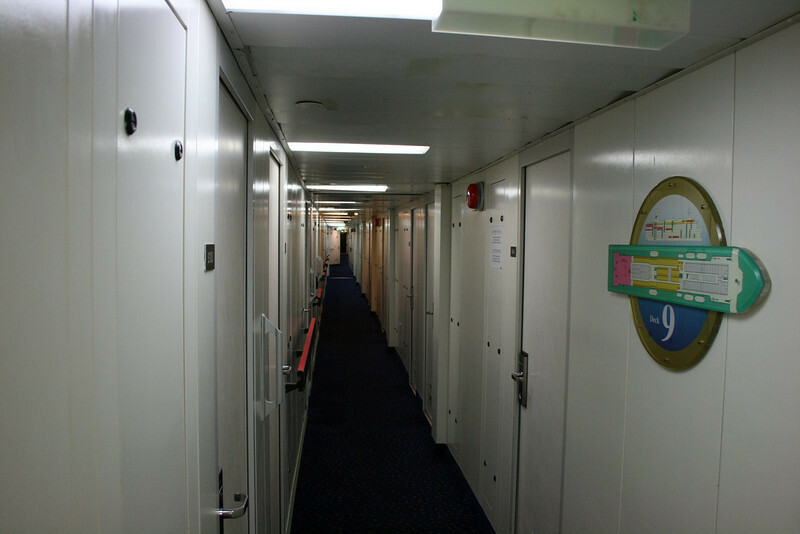 2008 - On board F/B SNAV TOSCANA : cabin corridor. 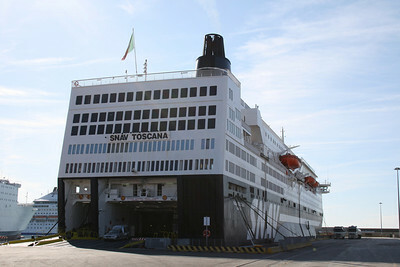 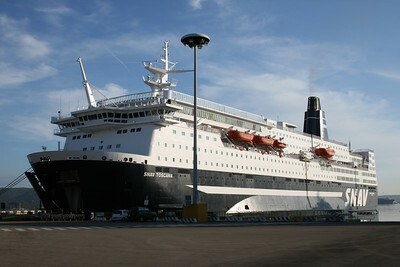 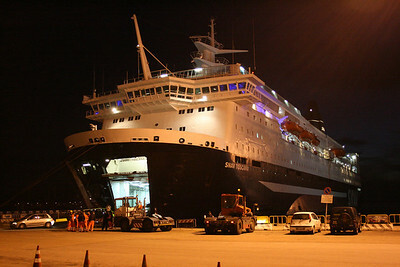 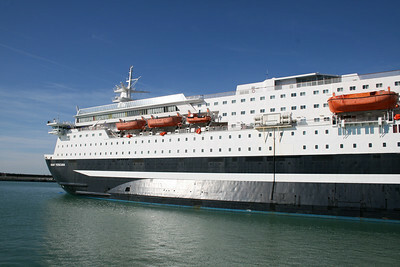 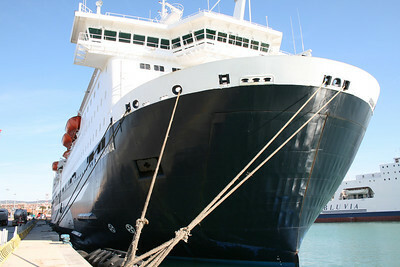 2008 - F/B SNAV TOSCANA in Civitavecchia. 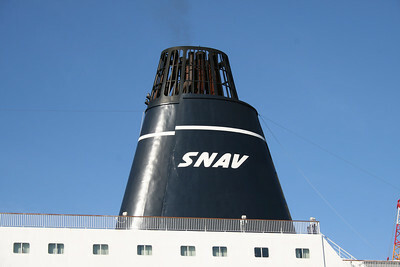 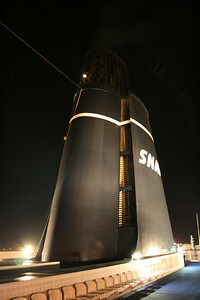 2008 - F/B SNAV TOSCANA : the funnel.